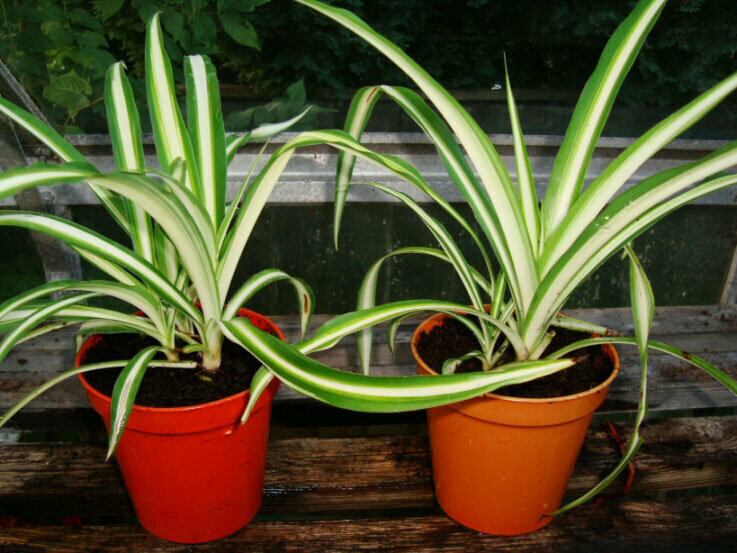 Spider Plants, or Chlorophytum, are easy to grow houseplants as well as being straightforward to care for. 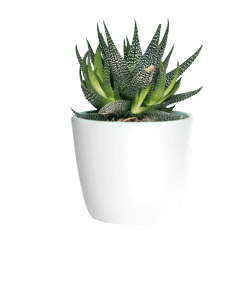 In fact they're potentially one of the easiest and rewarding indoor plants you can grow in your home. 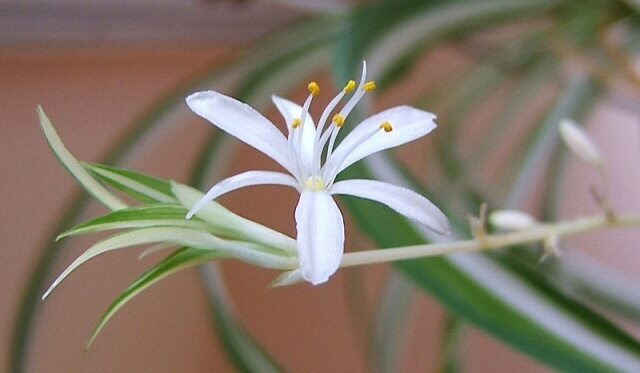 A Spider Plant does need some attention in order to really get it performing at its best, but it's extremely tolerant should you accidentally forget about it from time to time. This is in part due to the thick white roots, or rhizomes, it produces in order to store food and moisture for long term support. We'll going to quickly look at Spider Babies and some of the different cultivars you can come across, before jumping straight into the care instructions. 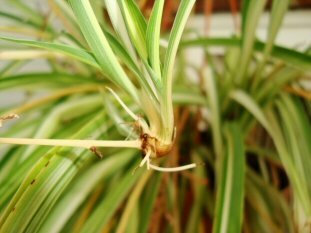 One of the most interesting points of the Spider Plant is its ability to rapidly propagate itself, through us, people! A "baby" or "pup" from the mother plant will often root with a very high success rate and this new plant will often produce babies of its own within a year. Children love it and adults too. So grow your Spider Plant correctly and then reap the rewards of your hard work by sharing Spider Babies with family and friends. There are quite a few different varieties or "cultivars" which you can find, the four most common are detailed below. 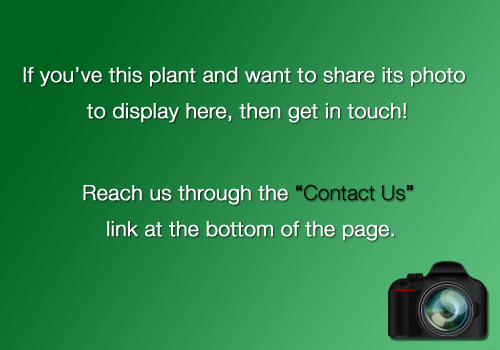 After comparing your own Spider Plants leaves with the pictures you may find yours isn't listed. 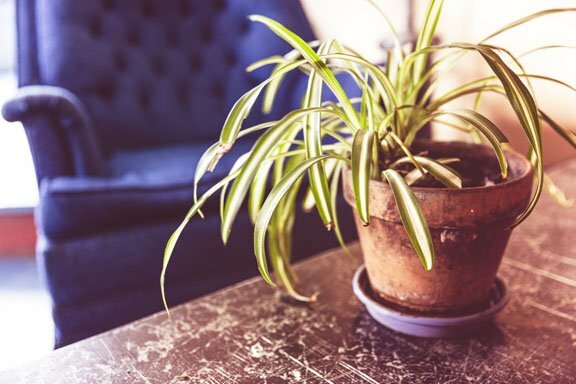 This is likely because there are new cultivars for these popular houseplants hitting the market all the time, and you have one of the less common varieties. However in all cases Chlorophytums have very similar care requirements so the care information further down the page will still be relevant to you. 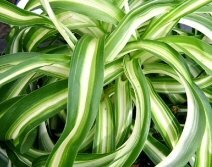 Chlorophytum Comosum "Vittatum" - This was the first variegated cultivar of the Spider Plant and was the most popular until the late 1990s. It has mid-green leaves with a broad central white stripe. It's often displayed to show the numerous plantlet's or Spider Babies that form on mature plants. The long stems on which the Babies hang are yellow / white. Chlorophytum Comosum "Variegatum" - This version is newer than the 'Vittatum', and has dark green leaves with white margins. It's generally more compact than the previous cultivar. The long stems which support the offsets are green. It's a striking plant and has generally replaced the popularity of the 'Vittatum' in garden centers and department stores. Chlorophytum Comosum "Bonnie" - has the traditional green with white stripe variegation of the ‘Vittatum’ but it's leaves curl and bend. The flowering stems are yellow and plantlet's are curly like the parent. It's fast becoming a very popular variety as it tends to be compact in size and is ideal if you want a Spider Plant but don't have masses of space to show it off. 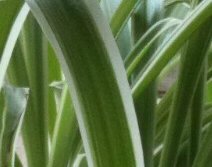 Chlorophytum comosum - This was potentially the original Spider Plant. Its leaves are all green with a subtle light green shade running through the center. Although it's better adapted to darker positions than the variegated versions it's the least common. You will struggle to find this type in the average garden center, so if you decide you want it you may have to search it out. 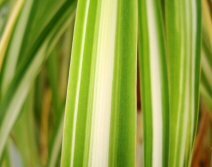 All the variegated Spider Plants need a bright spot in order to keep their stripes. The all green version (which has no variegation to lose) will accept a darker location although growth will be much slower. Direct sunlight should always be avoided. 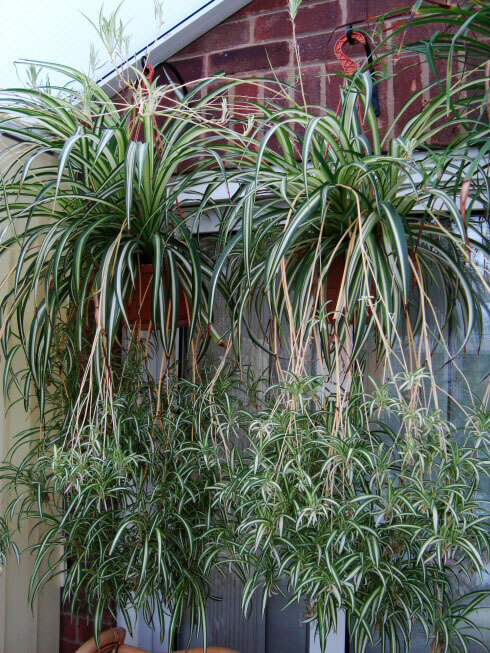 Water your Spider Plant well in the growing months (Spring through to Autumn / Fall) and if you've put it in a bright spot, you'll get a fast rate of growth and a good chance of Spider Babies. Water only sparingly in Winter as growth slows down no matter what you do at this time of year and if you've to much water sloshing around the roots, it can cause the plant to rot. For Spider Plants humidity levels are not important. These tough plants accept occasional feeding, but for even regular growth, try and feed at least once a month using a standard houseplant fertiliser. Don't feed newly planted Spider Babies / Pups, or the mature plants in the Winter months. The average warmth of a typical home is the key to good growth. You can put your plant outside in the Summer but be sure to bring it indoors before Winter arrives. If the soil is dry your plant will survive without issue down to 5°C / 41°F. If the soil is wet or you go colder than this, some damage will likely result. Any exposure to a hard frost will totally destroy the plant over night. 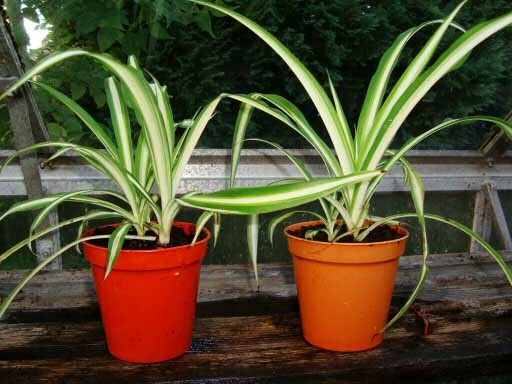 If ideal care has been provided, you'll end up repotting a Spider Plant into a bigger pot every Spring until it reaches maturity after about 2 to 5 years. You can just use standard houseplant or garden compost. If you think you might need some help with repotting your plant be sure to check out our repotting guide. Method One - If the babies have been hanging on the parent plant for while and have their own roots (see picture right), you can cut them off the flowering stem and push them directly into a pot filled with moist compost. There is no need to use any type of rooting hormone. Water well and put in a bright (not sunny) spot. Keep moist, and within a few weeks you will notice new leaf growth. Method Two - If the babies are young and have no roots yet (see picture right), cut them off from the flowering stem and hang them in a container of water. The leaves shouldn't be submerged, just the root area needs to make contact with the water. In a few weeks you will have roots and you can follow the directions in 1) above. Method Three - The methods described above are the simplest. However you can also "peg" the babies into nearby soil with them still attached to the flowering stem (and therefore the parent). 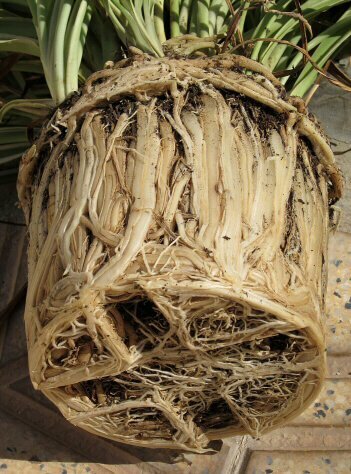 Rooting should take place in a few weeks, at which point you can cut them away from the flowering stem. Which ever method you pick, in about a month you will have something like the picture below. Spider Plants are fast growers! 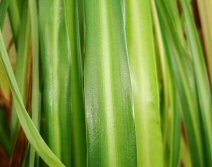 The Spider Plant is one of the fastest indoor growing plants you can find. Providing you give it good light levels and just the right amount of water as detailed above. The maximum height and spread of most Spider Plants is around 30cm / 12in. If they have cascading stems (see below) this will add significant length to the plants appearance. Mature plants will produce a rapidly growing flowering stem on which small white flowers appear. The flowers are quite small and don't have a strong scent. They last for a few weeks before fading and then Spider Babies form where the flowers were a week or so later. 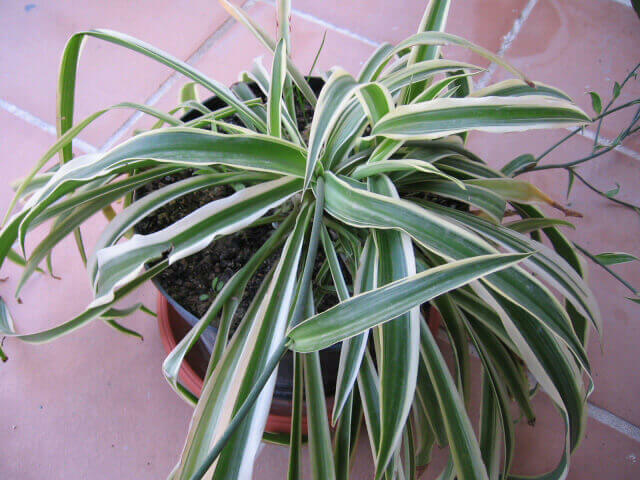 No Spider plants are not toxic so they're very safe to have around people, cats or dogs. If you have a large enough hanging basket you can plant several babies together to create a future cascading waterfall of babies! (see picture in the article or image four in the gallery, each basket has two fully mature and independent plants). Very effective in a conservatory or anywhere where you have height such as the top of cupboards, or wall shelves. 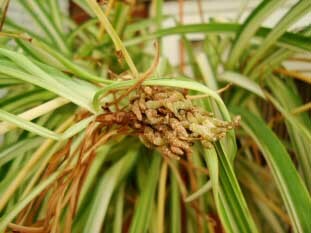 It's pretty difficult to kill Spider Plants so while it rarely just dies on you, your plant may get a few ugly side effects if you're not treating it correctly. This is normally caused by excessively hot air (i.e. if it's above a hot radiator) or from underfeeding. You should aim to feed it at least once a month during the growing seasons. Once the ends go brown they stay brown, so nip the tips off with a pair of scissors. This is a watering fault. 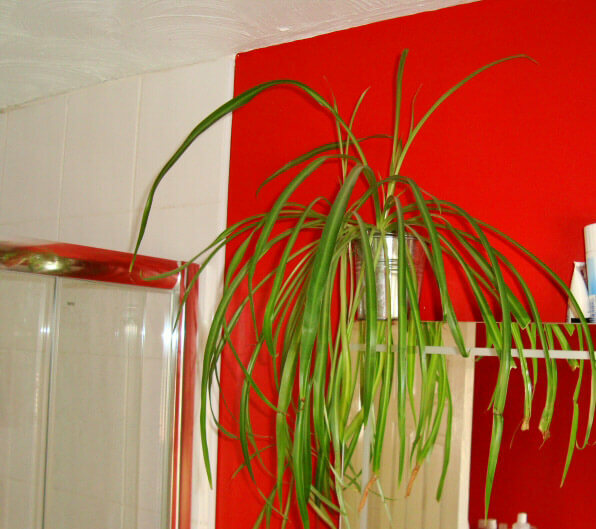 You don't need to water as frequently in Winter as the plant is hardly growing at this time of the year. In the growing months this is caused by too little water. It usually means you have allowed the soil to completely dry out and then left it like that for another few weeks. Again caused by too little water with too much sunlight. Try to water your plant more often, or if that's not possible move it to a a spot with less light. Quite likely it's because your Spider Plant is too young. Flowers and therefore babies only appear on more mature plants, it also needs to be in a reasonably sized pot. If the plant has never been repotted from the tiny pot in which you originally received it, then it's time for a size upgrade. Remember - Thriving not Surviving.